With Readly you can read Blues Collection and thousands of other magazines on your tablet and smartphone. Get access to all with just one subscription. New releases and back issues – all included. "The Blues magazine started off as an offshoot of Classic Rock magazine in June 2012, and ran until 2016. This handbook contains a collection of some of the mag’s finest moments – and there are many fine moments to choose from. There’s great writing on – and some amazing photographs of – the genre’s biggest stars: Stevie Ray Vaughan, Gary Moore, ZZ Top, Howlin’ Wolf & more. These are artists whose stories and voices resonate still – honest, authentic, talented, aware & musical. 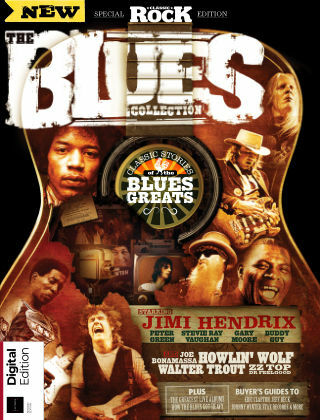 From the Mississippi Delta to the guitar shops of London’s iconic Denmark Street, these are just some stories of the Blues..."